Day of Peace: On Saturday November 10, 2018 St. Bart’s hosted a well attended get together titled Day of Peace. The leaders of this outreach even and St. Bart’s were most pleased with every aspect of this interesting event. I had the opportunity to talk with a number of attendees during and after this St. aBartholomew’s ‘Day f Peace’ experience. Some said that it wasn’t quite what they expected, however, they stated that as the day progressed, they found the program very interesting and in the end were glad they stayed and had the opportunity to be a participant. The majority felt the leaders were indeed knowledgeable and did an excellent job presenting their ideas to the group. People did come and go during the afternoon, but ECW estimated that somewhere between 35 and 40 people were in the seminar at one time or another. We felt, as did the leaders, that this number of attendees is considered a good turnout. The leaders, Roman Catholic and Episcopal, and the attendees certainly proved this was an ecumenical gathering. The Bishop’s Committee has expressed their gratitude to Reverend Dr. Prashant Olelaker, Roman Catholic and Reverend Dr. Matthew Cobb, Episcopal, for their efforts in leading the ‘Day of Peace’ experience. Another thank you goes out to Carol Carpenter and her brother Rev. Bob Davidson. Fr. 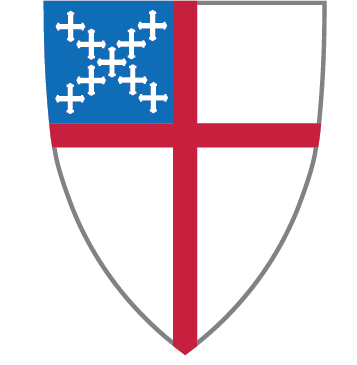 Bob is the Chairman of the Episcopal Peace Fellowship group. Carol contacted hima nd his team FedExed us brochures and data sheets which were distributed during our Day of Peace. This information meshed very well with the intentions of the leaders. There were some interesting comments from Tr. Matthew and Fr. Prashant afterwards. They thought our facility was warm, lovely, and quite inviting. However, the big plus being, they thought the hospitality by our people was truly outstanding. They said, “We were thinking in terms of a very simple tea and biscuits break and then we walk out to the narthex and in to a sea of goodies!” They just could not believe the fare that ECW set out. I will say, it was fantastic. They added, “Jack, your congregation is very fortunate to have a wonderful partner like your St. Bart’s ECW!” I speak for the Bishop’s Committee and I believe the entire congregation, we could not agree more.